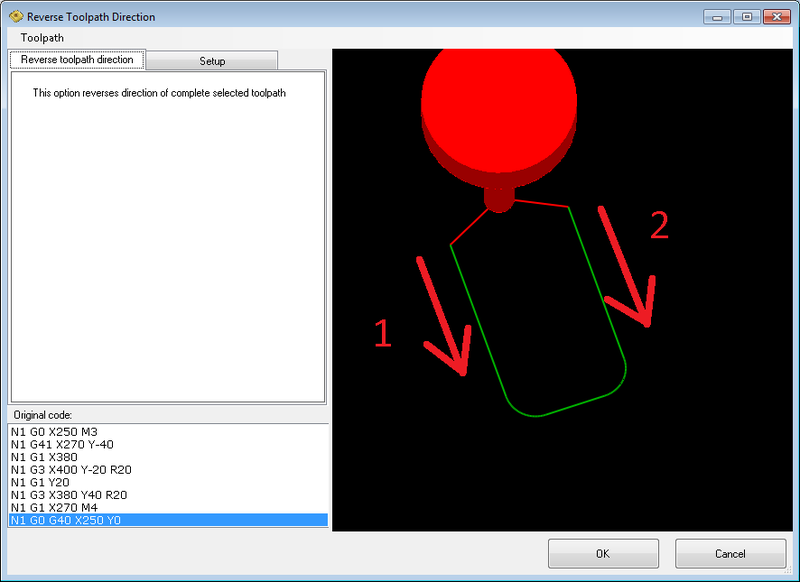 Use this option to revert direction of selected part of CNC code. There are no other options to select in this dialog. Just click OK to convert selected code. Note: CNC code is formatted according to currently selected machine settings. Do not select CNC code with various G and M preparatory commands other than G0, G1, G2, G3, G90 ,G91, S, F, M3, M4 because these commands will not be (re)generated in new code.